At the Lappish restaurant Saaga you will find a slice of the rugged nature and magic atmosphere of Lapland. We also bring the enchantment of Lapland to our guests in our service, interior decor and table settings, as well is in our food. The interior decor has the touch of Lappish artists and artisans. 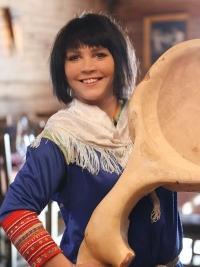 One of the best known household articles of Lapland is according to old tradition hand carved wooden drinking cup called “kuksa”.